To improve the default Magento tier price functionality, this custom product price Magento module sets up quantity based discounts as a percentage of product’s base price. As a result you avoid manual editing of fixed prices each time you need to change something. 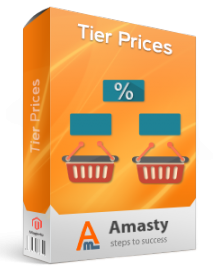 The Amasty Tier Price Magento extension also offers such important features as the ability to use discounts based on a percent of base price or an amount of base price and bulk update for tier prices. Besides, you can use choose between regular or final prices when choosing a base. This custom product pricing Magento extension provides the flexibility of specifying tier prices by item base price percentage. 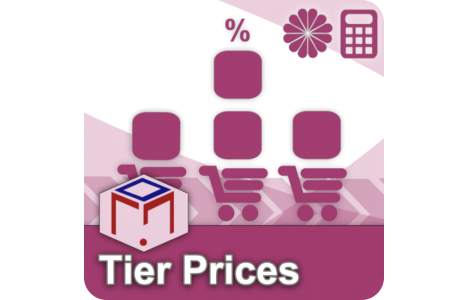 Additionally, you get the special feature designed for tier prices mass update. Furthermore, it is also possible to set different tire prices for different buyer groups with Tier Prices by MagPleasure. The extension has a user friendly interface and is easy to install. 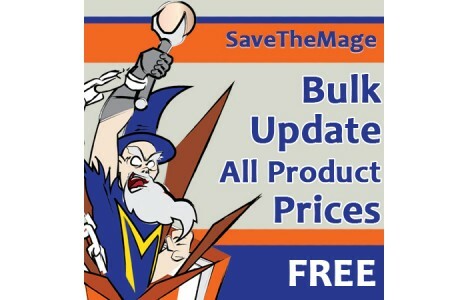 You can purchase Tier Prices by MagPleasure for $119. TPAMP custom product price Magento extension enables as many different products as you like for different discount groups. It also offers multi-buy discounts across all products in every group. The module provides almost all possible methods to define discounts. 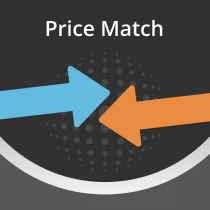 TPAMP Magento extension supports any number of price tiers. Moreover, the tier prices don’t have to be the same. The module costs $65. This extension provides the alternative way of how Magento calculates configurable products tier prices. With Spranks_ConfigurableTierPrices installed on your e-commerce Magento store, your customers get the ability to add different variants of one configurable product to the cart. As a result they get the tier price for the total quantity of all variants of the same configurable product. Last but not least is that you can get the Spranks_ConfigurableTierPrices custom product price module for free. You will forget about spending time constantly re-updating tier/group prices with this Magento custom product pricing module. The extension provides you with extra features and the ability to set every tier/group price as a percentage of the normal price. You can use both fixed or percentage prices with this extension, or even mix and match them. After every update product prices update, you tier / group prices will be also updated according to the percentages you have inputted. The module costs $69. 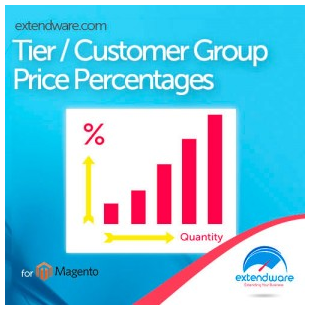 By installing this custom product price extension for Magento, you can specify different product prices for different customer groups. 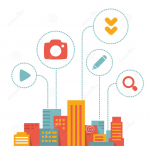 As a result, you will be able to run more targeted marketing, motivate different groups of your customers, use different prices and provide specific discounts for different customers. Additionally, the extension allows you to set “You should login to see the prices” message for not logged or unregistered visitors. This will motivate them to login or register to purchase from your store. You can purchase Customer Group Prices by Webtex for $119. This extension allows you to update or import special, regular, tier & group prices of your Magento store. The custom product pricing tool is one of the fastest among existing alternatives. It supports import via a command line, cron job schedules, or a web interface. In addition, you get the ability to configure data format and price settings. 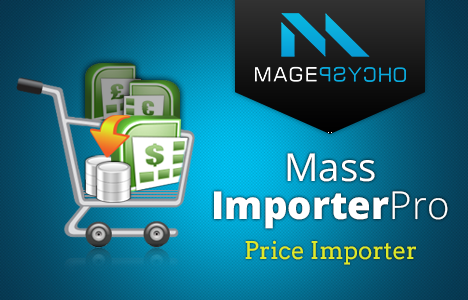 Mass Importer Pro costs $35. Hit the below link to get some additional information. With this Magento extension, you can provide your clients with the lowest prices. Install the custom product pricing module on your e-commerce storefront and allow your customers to report about lower prices of your competitors. For every Magento Price Match request, you can give a discount or just ignore it. If the request is approved, the customer gets the discount coupon code by email, or the discount can be automatically applied to the product. The extension costs $99. 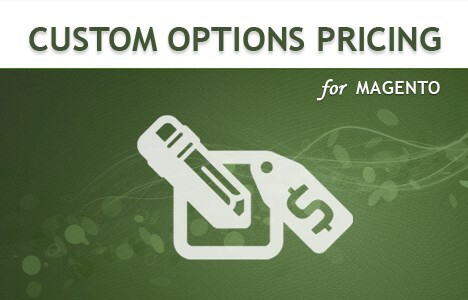 Get the ability to specify different prices for different customers with this custom product price Magento extension. The module provides you with the ability to sell products by personalized customer prices. As a result, you can reward most loyal customers with the lowest prices. Moreover, Prices per Customer for Magento allows you to hide prices for visitors, who are not logged. Prepare $119 to enhance your store with the aforementioned features. With this custom product price extension for Magento, your customers will get the ability to edit a product price on a product page. Donation & Bargaining by FME Extensions allows them to do bargaining within your e-commerce Magento store. You just have to set the lowest possible price and the maximum number of attempts your customers can make. It is possible to apply minimum price limit for every product. 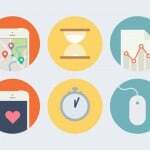 This module also works great for donation and charity based sites. You can purchase Custom Price for $99.99. Provide your customers with a special page, where they will be able to set measurement, select different product options, calculate price, add to cart, and proceed to checkout. 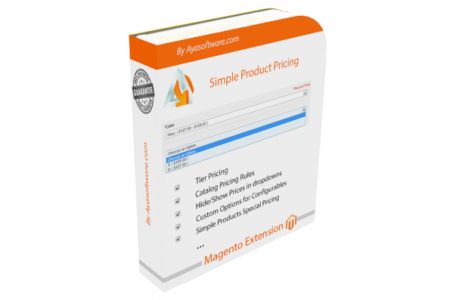 The desired functionality is available with this Magento custom product pricing extension. The pricing of this module is CSV based, and the measurement units relies on your requirements. The module costs $449.99. 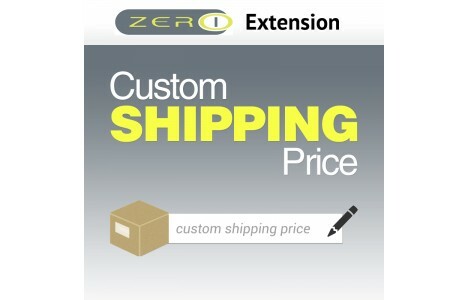 This custom product price Magento module allows you to use a custom shipping price at the point of creating the order. Custom Ship Price Magento Module is absolutely free. With this Magento extension, you will be able to update all product prices on your Magento store in bulk. The module supports changes per store view. Moreover, you get the ability to add and subtract a flat or a percentage value to all products simultaneously. And don’t forget, that you can get this custom product price module for free. This Magento custom product pricing extension gives site owners direct control on the configuration of product pricing. Simple-product-pricing by ayasoftware also allows customers to see the price of simple products. Moreover, the final price is calculated when the customer has chosen his selection. The module costs $119, hit the below link for some additional information. Advanced Pricing by innoexts provides you with the ability to set product prices in different currencies independently of their rates. It is also possible to use product prices for each store view separately. 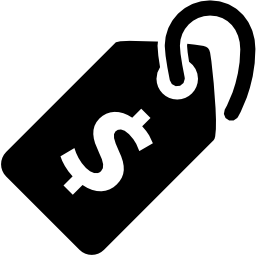 In addition, Advanced Pricing Magento Extension provides zone discounts. By using this feature, you can offer discounts based on visitor’s geographical location. You can purchase this custom product price Magento extension for $200. The mane of this module speaks for itself. With the extension, you will disable the pricing for all unregistered and not logged in users. As a result, all visitors of your store will not be able to add any items to their carts without registration. The extension also disables the “add to cart” and “add to wish list” buttons everywhere on the site. This functionality costs $49.99.